Real Plans: A 100% kickass, totally customizable meal plan service that includes more than 200 of my Well Fed recipes. It’s an incredibly powerful, flexible meal planning tool that offers real food recipes served up with shopping lists and helpful how-to tips to make getting meals on the table faster and easier than you thought was possible. You can change every aspect of the system, including number of meals each week, specific ingredients, serving sizes, and more. It’s easy to swap recipes in and out of the plans, and the system provides a foolproof, step-by-step timeline for prepping ingredients and cooking throughout the week. Real Plans also provides nutrition information for all of the recipes. Five Paleo Dinners To Cook Next Week: I post this collection of five paleo and Whole30 approved dinner recipes every week. It includes main dish recipes, a condiment to add zing to basic ingredients, a special snack, recommendations for complimentary side dishes, and advice for how to work the recipe into a Weekly Cookup. It’s not really a meal plan—it’s more like ideas for dishes you might like to cook. Sending you all good vibes for an awesome Whole30! Hope you have a great month. For the chicken thighs on week one. Do I need to coat them with a little of oil, or cover them with oil? No oil necessary for roasting — the chicken thighs are fatty enough to hold up with just seasonings on them. Thank you so much for all your hard work to make all of us out here better!!! Thank YOU so much for reading. Hope you enjoy the meal plan! Oh! My! Goodness! My boyfriend and I finished our Whole30 about 2 weeks ago. I really don’t think that we could have done it without your meal plans! You’re right, what if I don’t want to eat salmon on Monday??? It really kept us on track by giving us many options. We have (together) lost 50 pounds and we are feeling great! Thank you for keeping this up for so long! 🙂 UMMM also, LOVED meatball madness was tons of fun! Congratulations on successfully Whole30-ing! YAY! I’m glad these recipes helped — and doubly happy you enjoyed Meatball Madness! I recommend you take a snack with you that you can eat on the way home after your workout. Doesn’t need to be fancy — you just want to get some calories in while your body is receptive. I usually take a few ounces of cooked chicken breast or a hard-boiled egg and half a sweet potato for my post-workout snack. I just eat it at room temp in the car on the way home, then eat a real meal after I get home. I’m so excited to start my first whole 30 and get in tune with my body! I love your method and how easy everything is laid out thank you thank you!! Hi! I’m doing the Whole 30 diet starting in February, just cooking for one (myself). Is the shopping list you put up here too much food for one person? In other words, should I just pick up half of what you suggested? Thanks! This feeds me and my husband (he’s 6’5″), so you might want to cut recipes in half OR freeze stuff, then it’s like someone else cooked for you! What is the ground beef in step 5 for? It can be mixed-and-matched with vegetables to make dinner on the fly. For example, you can make a stir-fry with veggies, coconut aminos, and ginger… or you can make an Italian sauté with broccoli, tomatoes, garlic, and basil. Or turn it into breakfast with spinach and scrambled eggs. Or put it in lettuce cups, top with salsa and have taco night. I like to keep ground beef in the fridge so I can make a quick dinner without a specific recipe. This is just what I needed heading into the new year, thank you! I spent the first part of 2013 on the ball with the cooking on Sundays (mostly from Well Fed) but I “fell off the wagon” as the year went on. 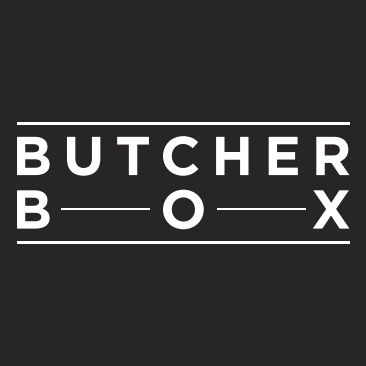 We’ve got a paleo challenge starting at our box on the 6th and my husband and I are psyched to get back into clean eating after the debauchery of the holidays. Wow this is brilliant!I usually do some sort of cookup but always overstretch myself so this is going to be a great way to ease into week one,which starts on 8 Jan for me! I love you Mel. You need to come back to Estes Park! I see another seminar in the works! YES! This is EXACTLY what the Paleo community needs more of. A solid gameplan of how to tackle a week’s worth of cooking in one day. Brilliant! Yes, Yes, Yes! Something which had seemed very daunting now seems very doable. Thank You! This is really amazing! Seeing more specifically how to lay out a bunch of food prep quickly is super helpful. I love that it provides a framework without being a strict meal plan. I’m about to start my first Whole 30, so I appreciate the timely inspiration. Very very helpful! Thank you for taking the time to write up this plan and share it with us. 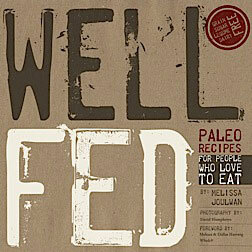 Well Fed is my favorite Paleo cookbook. Heading over to Amazon to get 2 now! This is wonderful. I’m getting geared up for the January Whole30. Is there a print-friendly version of your blog? I don’t have a printer-friendly version… sorry! You can copy & paste the text of the post to print. 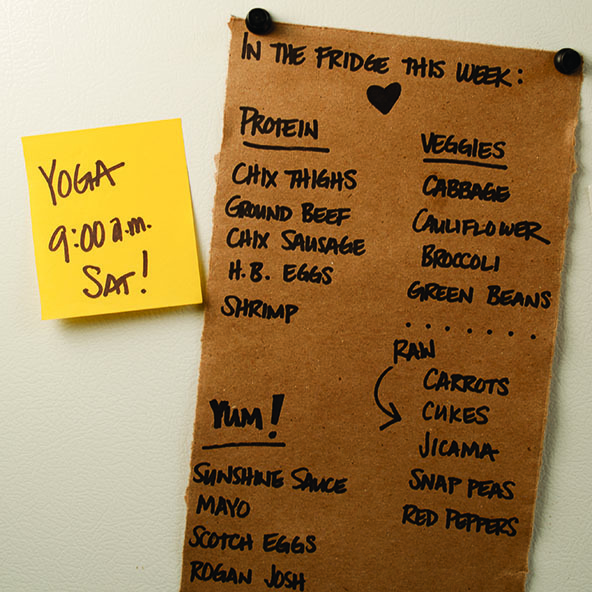 Does this plan feed you and your husband for breakfast, lunch, and dinner? Or is this just dinner? This covers us for all meals and snacks when I add in additional veggies, fruit, and eggs… plus we usually eat out once or twice. Awesome! Thanks for the quick reply, Mel. Looking forward to a January Whole30! I’m gearing up for my second Whole 30, which starts on Jan. 1, and I knew to go straight to Well Fed and Well Fed 2. And now I find this, a handy meal plan with suggestions on how to organize cook up over the weekend? Mel, you’re wonderful. I love your food and I’m looking forward to eating lots of it over the next month. I’m so glad you guys are finding this plan helpful. I have another one coming next week — and two posts of 30 Whole30 approved recipes. You should be eating some really good food this month. Happy 2014! I’ve done a couple of Whole30s and seen some great benefits, but since I’ve got Hashimoto’s thyroiditus, I’m going to do the autoimmune protocol this next time around. If I leave out eggs and mayo, is this cook up AIP compliant? Unfortunately, that means several of hte recipes above are out: Chocolate Chili (nutshades), Sunshine Sauce (seeds), mayo (egg). The Slow Cooker Pork Roast is good to go in the version on my site but NOT in Well Fed 2, unless you follow the AIP modifications I included in the cookbook — and the Zucchini Soup on my site is approved (but the Well Fed 2 version is not unless you follow the AIP modifications). 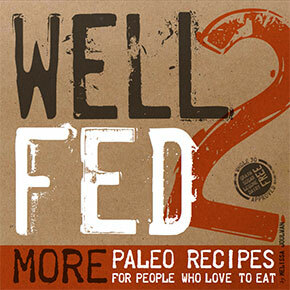 Well Fed 2 has 100 recipes that are both Whole30 and AIP approved, if you’re looking for more AIP recipes. 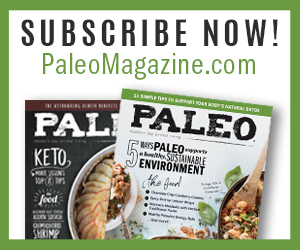 Also, you might look into http://autoimmune-paleo.com/ and her cookbook. So glad you like the Well Fed cookbooks! Thank you for buying! Melissa and Dallas of Whole9/Whole30 reviewed all the recipes and felt like the Banana Pecan Ice Cream and the Sweet Potato “Waffle” — while made of approved ingredients — violate the spirit of the Whole30 and could interfere with the psychological part of the program. They’re just very, very strict with their interpretation of their guidelines. Fantastic! Exactly the kind of thing I need to keep me on track. You are awesome! This is awesome! Thanks for putting this handy guide together. I love the idea of preparing ahead! My daughter is a vegetarian. Do you have a similar plan? Nope, sorry! I’m 100% paleo. Your a Rockstar, I hate cook books but love both of the well fed books, they promote creative thinking and inspire me to cook vs telling me what to do…….we’ll fed is well started; keep going/don’t stop. Pingback: Cynergy CrossFit – Are you living life on the sidelines? Pingback: Quincy City CrossFit – Are you living life on the sidelines? First off Thanks for such a well planned week. My husband and I are new to the Whole30 and needed a list like this. In Step 6 you have us make a batch of ground beef…what is this used for/in? That’s to saute with vegetables to make “hot plates” or you can mix it with eggs for breakfast… or put in a bowl with broth and veggies to make quick soups. See the “Hot Plates” section above. Basically, it’s cooked protein to supplement with veggies so you can have a meal in about 10 minutes. Are you kidding me?! You should be nominated for the most helpful thing I’ve found on Pinterest ever. Starting my first Whole 30 tomorrow I’m really excited but this post just made it that much better! Thanks!! I have seen spaghetti squash at the farmers market but not regularly. We (fellow Aussies)are going to use zoodles (zucchini noodles) in place of the spaghetti squash. Hope that helps. Me and my husband have decided to do the Whole30 for the month of January and your blog has been absolutely awesome. We spent a good chunk of today doing this cook-up in preparation for Week 1. Thank you so much for such a helpful post! Just made a bunch of food to start it off right! Thank you so much for posting this, I’ve made about half of it so far and my fridge is already full! I feel so encouraged by this, thanks! Dumb question: is there a difference between a slow cooker and a crock pot? Do you recommend one brand/style in particular? How long will the Moroccan Dipping Sauce keep? It says serve at room temperature but should it be stored at room temperature also? Moroccan dipping sauce should be stored in the refrigerator and should taste fresh for a week or so. It doesn’t go ‘bad,’ but it just starts to lose its freshness after a while. I think it tastes most zingy at room temperature, but honestly, it’s delicious cold, too. THANK YOU a hundred times over! Having something like this spelled out for me is tremendously helpful. Once I get the hang of these new eating habits I’m sure I’ll be able to figure stuff out on my own but this at least gives me somewhere to start. Not to be cheesy but literally for the first time ever reading a meal plan and grocery list I just said (out loud) “hm, I can actually do this”. Hats off in a big way. Hi! My husband and I just started our first Whole30, I bought Well Fed and then found your fb book and blog! Excited for your weekly shopping lists! Thanks! Very useful post and love your book, but I have a question about doing weekly cook ups. Do your meat and veggies that you have cooked up start to go bad after about 4 or 5 days? Thank you so much for this wonderful menu and shopping list and cook up. This is exactly what I needed to start out our second whole30! My three boys are doing it with us this time and this is all food they will eat and love! Muchas Gracias! Thanks for this! I have been doing a Whole90 and my husband, business partner and 2 close friends are all starting their own Whole30. This post just inspired a shop, prep and cook party. Thanks! Wow! This is amazing, and exactly what I needed to get ready to start my Whole 30 on Monday! Thank you so very much! Wow! I just finished cooking and prepping all but the soup which I will make for dinner tonight. My husband was tortured by yummy smells and my garage fridge is ground zero for all the prepped containers. This is fabulous!!! Than you thank you thank you!!!!! Thank you, thank you, thank you. This is going to make my second week of whole30 SOOOOO much easier. You are the best. Thank you so much for this weekly list! It is the hardest thing in the world for me to plan my meals and this does 3/4 of the work and leaves the rest up to my personal taste. Also, if I had known 20 years ago how freaking easy it is to plop a pork roast in the crockpot and have delicious soft tasty meat all week long…Gamechanger. I swear. That sounds like a luscious way to start the day! First of all, you are amazing! I have been addicted to your website ever since your Well Fed 2 book caught my eye while casually strolling through Book People last month with my huge triple Caramel Brûlée Latte and extra whip. I flipped through, fell in love, immediately bought it and threw away my dessert in a cup. I knew that I just found what I was waiting for to use as mine and my husband’s inspiration to make an overdue change this year. Since then, I discovered you actually lived here in Austin, SO cool! And have read other resources you have recommended. I did all my reading and spent many hours on your site to prepare for our first week of the Whole30 starting last week. Thanks again for your organized shopping list and weekly meal plan. You’re a genius. My only issue is that I’m noticing an upset stomach after every single meal. I thought it might go away but it has been consistent for a week now. I didn’t have digestive issues before. The uneasy feeling starts immediately after my meal, or towards the end, and can last for 20 minutes up to 4-5 hours when I need to eat my next meal. Your food I’ve been making is delicious and I make sure to get a good mix of protein, fat, veg, fruit but I’m now finding that I’m not looking forward to my next meal or even eating in general. I don’t want anything to get in the way of our new healthy lifestyle that we are both excited about and committed to. I thought briefly that it could be a mental thing since I now know how unhealthy and damaging some foods can be, foods that I used to eat, and I’m also wanting to lose weight after making this change, so maybe my body’s unconsciously taking the focus off of food. But it has caused me to miss out on workouts and not eat as much as I probably should. If it’s not just in my head, and there is something going on in my gut with this new style of eating, I want to know what you would recommend and if you’ve had any others go through the same thing. I started looking online and saw talk about some people that don’t benefit from Paleo for whatever reason, hopefully that’s not me, but I honestly didn’t know what to believe. Thank you so much for buying Well Fed 2 and stopping by to say hi! Basically, any change in diet can affect digstion. It might be more protein, more fat, more veggies, or more all of it that you’re used to. I recommend you read that post, then maybe start experimenting on yourself to see if you can track down the culprit. I’m sorry I can’t be more helpful and specific, but there are just too many variables. Is this food plan for one or should I double it to feed two? This feeds 2-4 people, depending on their size. This keeps me (5’4″) and my husband (6’5″) going for most of a week. This looks really helpful. Which of these recipes can/cannot be frozen? Anything to adjust if I am freezing these foods? Thank you! Generally speaking, soups and stews freeze/defrost really well, while “plain” cooked meats and veggies usually do not. They get dry and/or mushy when defrosted. The one exception is meatballs; they hold up well under freezing and defrosting. From the list above, the Chocolate Chili and Zucchini Soup can be frozen and defrosted. Everything else is better fresh. In a pinch, you can freeze the partially-cooked vegetables, but their texture isn’t quite as good after defrosting. No a dumb question at all! Enjoy! Feel free to email me or post here if you have more questions. I am on day 19 of the whole 30. My husband and 3 kids did not do it with me. In the beginning I craved the cookies, cakes and ice cream that they ate in front of me. Here I am 19 days later and feeling great, and still going strong. I am making this chili on Super Bowl Sunday, which is my last day of the whole 30. My 13 year daughter wants me to make it tomorrow, but she will just have to wait. Thanks for sharing this wonderful recipe. Congratulations on 19 days of awesome! I imagine it must be challenging in a household where others are eating whatever, but it sounds like you’re a champ! YAY FOR YOU! The Chocolate Chili is perfect for Super Bowl Sunday! 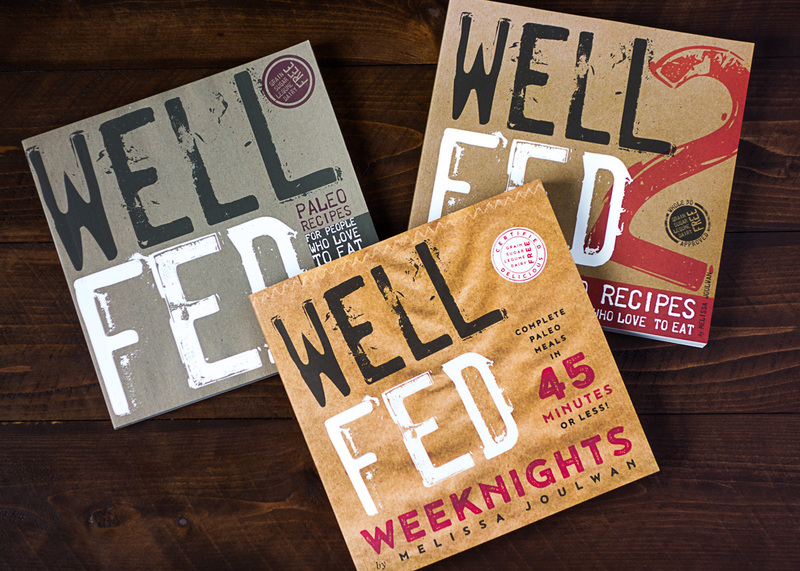 Do you have Well Fed 2? The plantain chips (from the Plantain Nachos recipe) taste awesome with the chili. Silly question? Approx. how much money do you spend each week in shopping? We spend approximately $800-$1000/month on food for me and my husband, who is giant (6’5″ and muscular). Hi, there! Instructions for sweet potatoes are in step 4. Is it your suggestion to just cut them in half and store them in the fridge, to be reheated later? Thanks again for all your help, and quick responses! Hi there! Just wanted to thank you for your whole 30 plans. I wish I would have found your website when I was doing all my planning and shopping last week! I’m on day 4 now and I absolutely agree with you about the meal planning. One sure fire way for me not to want to eat something is tell me I have to. So for the next week I’m going to follow your advice. Also, made your pork carnitas. And they were fabulous. My husband and I were scraping the pan of all the crusted pork. Yum! Happy Whole30-ing to you! Glad you liked the carnitas! This is somewhat off topic, but I am stressed/overwhelmed/upset by basic recipes failing for reasons I can’t explain. It also is doing the same for my pocketbook! We are doing our first Whole30…ate ok before – not worst of the worst, but definitely not great either. We are 5 days from the end of our 30 days, and I’d like to stick to this way of eating, but it seems like it’ll be difficult to enjoy sticking with it with FAILS on things like a freakin mayo recipe! First mayo attempt failed on a consistency level…this time followed the video posted here ROCKED the consistency part (thanks! ), but it tastes AWFUL! Like bitter wood! Used light olive oil. Sitting here racking brain about what I did wrong…thought I used a higher quality oil…I did accidentally let egg sit out for 3 hours…may have used old mustard powder…but I’ve also read about blending issues making oil bitter…or lastly I also wonder if it is just my tastes that are screwed up from years of commercial junk? But I don’t know cause I mean this. stuff. tastes. BAD! I just don’t know where to start, but I feel like its too risky/expensive to try 10 more times to get it right! (Especially when every comment about the recipe I’m trying is a raving review about how awesome it tastes! My coconut butter didn’t turn out so hot either!) Anyone else having these issues? I’d just like something to go right for once considering how much time (I know my kids are missing me as at times I feel I live in a grocery store or kitchen! ), MONEY, and effort is going into this great way of eating! I’ve cut out the bread, pasta, sugar, oils, dairy, but dammit I NEED mayo and other such basics to make this transition easier! 🙂 It also makes me scared to try other recipes like these out of fear they will taste awful and be a waste of time and money – hence the 20 days in between my first mayo attempt and my second! I’m not sure how to advise you on your mayo… The first thing that comes to mind is that if you like the taste of commercial mayo, you might prefer homemade with cider vinegar instead of lemon juice. You might also try reducing the amount of mustard powder to 1/4 teaspoon. Love your recipes! However, I’m not able to print out the shopping list after downloading this. Any suggestions? The shopping list is a standard PDF, so I have no idea why you’re having trouble printing it. Sorry! This is SOOOOOOO helpful. I need “hold my hand” instructions like this. But one problem….what if I don’t eat meat? I eat seafood but no beef, pork or chicken. Recommended substitutes? You can sub shrimp or white fish in the pad thai. Seafood doesn’t allow for pre-cooking very well, except for steamed shrimp, so for you, I’d recommend the vegetable recipes above, then just cook fish/seafood separately each day. You might also like something like a big omelet made in advance, cut into wedges and eaten either hot or at room temp, if you want to do some pre-cooking. Thanks so much. I think I’ll try the chili with veggie crumbs. You just saved me from giving up. I have NO TIME to plan and end up eating crap. This makes my desire to eat healthier totally doable!!! Thank you thank you thank you!!! This post has me making my first Paleo jump! As a working mom of 2 young ones, the idea of a completely flexible heat-n-eat after a long day rocks. I’m looking forward to freezing leftovers (hello, lunches!). A thousand times, thank you!! I’m doing a happy dance as my sweet potatoes are finishing up. 2. I eat VAST amounts of fruit. I mean it. I’m almost addicted to apples and carrots. Are they ok? do i eat them after my meal as i see snacks aren’t really common? Smoothies are not technically forbidden on the Whole30, but they’re not recommended. You can read all about the details and rationale of the program here http://whole30.com/whole30-program-rules/, then you can make your decision about if you want to keep your smoothies. It’s totally up to you. Just wanted to double check something isn’t missing. In the cooking steps it goes from step 1 to step 3. I’ve just stumbled on your blog and site. Love, love, love everything! I’m rushing out to the store to get everything for the upcoming weeks you’ve posted. 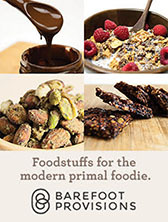 I been “primal” for about 4 months, lost 18# and going, but I find myself a little bored with our meals. I feel inspired again. Thank you! I’m glad you found me! 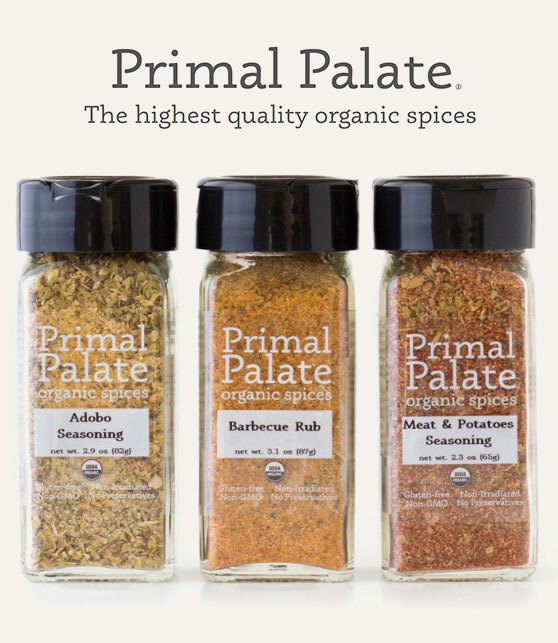 I hope these new recipes make you excited about eating paleo/primal again. Happy cooking! So in 7 hours, I’ve made everything for week one, and we, of course, had some for dinner. My partner is thrilled with the new flavors (cumin, allspice, etc.) I even managed to brine and grill “the best chicken.” Party for my taste buds! Thanks again. We’re set for the next week. Looking forward to week 2. Congratulations on Whole30-ing! I’m really happy the info in this post was helpful. I like to cook but man! I don’t want to spend ALL my time in the kitchen. Hot Plates totally save us all the time, too. Happy cooking to you! Just wanted to say thanks so much for the blog and your cookbooks. I decided to do my first whole30 about 25 days ago (woot!) in an attempt to healthily lose weight after my second pregnancy. I’ve found your recipes to be so delicious and I’ve felt so great that I’m planning to continue eating “dino chow” for the foreseeable future. Even my husband, who hates diets and diet food, has loved the food and requests some of the recipes regularly now. Thank you thank you thank you! Congratulations on 25 days of Whole30-ing! That’s awesome, and I’m so glad you that you’re feeling good. Very happy that you and your husband like the recipes, too. Happy cooking! Is the shopping list provided just for 1 person? I don’t know why it took me so long to finally do a cook up! I mostly followed this plan, but did zucchini noodles as it is impossible to find spaghetti squash in New Zealand. I also prepped a few extra things for breakfasts. Less than two hours work on a Sunday evening and I could sit down with a glass of red (not whole 30 at the mo!) and wait for the chilli to finish cooking. I let the pork cook overnight and shredded it in the morning. I probably saved at least an hour of food prep on Monday alone! You rock!!!! Congratulations on showing your kitchen who’s boss! I’m really that the food plan is making your Whole30 a little bit easier and tastier. Congratulations on taking on the 30 days! Hope you have an excellent month. I’m new to this, so excuse my questions. Do you just pack all this stuff up and eat throughout the week? How do you determine portion size? Thank you! Thank you, Melissa. I appreciate you taking the time to respond. If I may ask, what does your food budget run for a week? And, how much time do you spend in the kitchen on a Sunday afternoon getting ready for the week? Thanks again. For my husband (6’5″) and me (5’4″), we spend between $600-800/month on groceries. We usually eat out only once a week, so that’s breakfast, lunch, dinner, and snacks at home. This cookup would take me about 2-3 hours. I have just been diagnosed with PCOS. The only real way to control it is with diet and exercise. I have been feeling so overwhelmed with clean eating. I have been searching and searching for something to make this whole thing easier and I have! Thank you so much for putting this together. Now, I actually feel excited to get started!!! Thank you thank you!!!!!! Thanks for the post I love cooking and after reading your article I love cooking more then I thought but only on weekends. I am constantly looking for ways to streamline life. Just wanted to say thank you!! I just followed this plan, for the most part, and prepped for week one. I’m one day in but making this food and feeling like I GET IT, and have such great resources is immensely helpful! I was wondering about substituting grape seed oil for olive oil for the mayo recipe/ or in general. I whipped up a batch of the olive oil mayo and like it but was just curious because i’m poor and have a giant bottle of grape seed oil. thnx!! Oh, good! I’m glad this was helpful for you. Hope you enjoy the food! Re: grape seed oil. It’s neither Paleo nor Whole30 approved. Sorry to be the bearer of bad news. The good news is that for mayo, you want inexpensive, LIGHT TASTING olive oil, not extra virgin. I’ve thought about doing some kind of Well Fed weekend thing: fun workouts, meditation, Well Fed menus, hikes… maybe I can make it happen! I would love a retreat! I am 47 and never really cooked and am trying to get there but a weekend or week retreat would be perfect for hands on change! Count me in! Oh noes! I couldn’t get all of those things, so I will have to improvise! Just came upon this doing a web search. Thank you so much for the break down and great recipes. I’ve hit a point where a change Has to be made in order for me to feel healthy. Please keep the plans coming. Thank you sincerely for doing all of this on top of your regular jobs and such. The fact that you’ve taken the time to create and make public these awesome recipes and wonderful, comprehensive meal plans has helped so many people and I truly appreciate it. I have done a couple Whole 30’s using your recipes and they are now family favourites! This time around, my husband really wants to get involved in helping in the kitchen so I will be using these tools to guide us through our first big day (in 5 years of marriage) of meal prep together! Im pumped..and beyond appreciative! That’s totally AWESOME! I love that you’re going to cook together. Have fun! Congratulations on taking on the Whole30 as a team. My boyfriend bought me well fed and we’ll fed 2 for chanukah and I’m so excited!!! I did a whole 30 for a month in August and I want to start eating like that all the time!!! Thank you for the lovely suggestions. I am completing my first Whole30 and feel wonderful. Oh thank you so much. I bought the book and ingredients from the Whole 30 list but had no clue what to do with Coconut milk and some of the other stuff. And special thanks for the “sauces”. I thought all mayo was off the list and got real tired of tuna salad made with just mustard! Hi Mel!! The holiday treats are hanging on every inch of my pale white behind so it’s time to get ready for Whole 30. I have your books and I love this meal guide. I love hot plates. They are perfect for the nights when I stand in front of the fridge with a blank stare. It was so cool to meet you in Austin and I’m hoping a magic carpet can bring you back down in 2015. Thanks again! I hear you, sister. I had such a bad tummy ache on December 26 from eating ALL THE GRAIN-FREE COOKIES! I just cannot handle the sugar any more. But man! They were tasty. Happy 2015 to you! Hugs! Quick question. Your plan calls for thighs but I already have breasts and breast tenders. 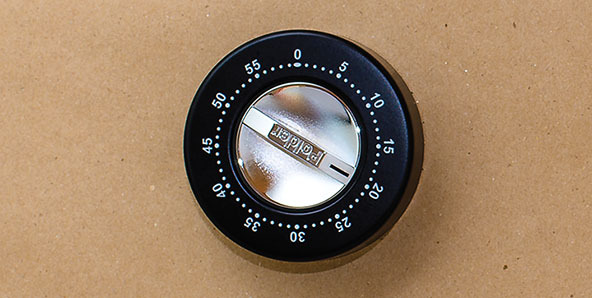 How would you adjust the cooking time? Roast at 400F for 15-20 minutes. They won’t be as tender/juicy as thighs, but breasts will work just fine in Hot Plates, etc. You can do it! Have a wonderful month and happy new year to you! My husband and I just started a Whole30 on Jan 1. So far not bad-I love the cook ahead concept. So far we’ve had sweet potato hash with the Italian Pork roast shredded into it, and I made a beef vegetable soup with the leftovers from the box of beef broth (chili recipe) and the crumbled ground beef! I can’t wait for lunch. I don’t feel deprived yet, but it’s only the 3rd. A little afraid for upcoming Robert Burns B-day party and husband’s work holiday party later this month. Working on the strategies now, though. Thank you for your recipes and cooking ideas. Congratulations on Whole30-ing! Have a wonderful month — glad you’re enjoying my recipes! Thanks for the great ideas. I got well fed 1&2 for Christmas. I shopped and then cooked yesterday according to week one. My kitchen smelled amazing. So now that I have all this food I am starting to panic. Now what? How do I fit it in? I am seriously feeling overwhelmed…maybe just nervous to start but I am also someone who needs structure. So with all that is cooked what would be a typical meal 1, meal 2, and meal 3 for you? I work outside the home and so does my husband. I am trying to get him on board with this too. I am apologizing right now for these questions:). Thanks in advance. Breakfast: steamed kale and browned ground beef (or chicken) sauteed with ghee or coconut oil and spices, zucchini soup on the side. Just mix and match the food you made in reasonable quantities and make sure every meal has a protein dish and vegetables. Done! This is really helpful! Thanks! One question, though: what is the coconut milk for? I have never made spaghetti Squash before. I’m not sure I cooked it long enough. Is it suppose to be so stringy. What do I do with it and how do I use it with the rest of the food that I cooked. It is very bland can I salt and pepper it or use one of the sauces. Yes, you should definitely season it. The roasting cooks it, but you need to add fat and spices to make it flavorful. Thank you, thank you, thank you! I love how you tell me what to do first, then next. I need step by step directions for how to cook for the week in one day. Would you be willing to do this again with a couple of additional weeks worth of step by step meal planning? Love, love, love. Can I substitute the chicken thighs with chicken breast? You can. Breasts don’t have as much flavor or fat, so you might want to reduce the roasting time a bit. I thought rice vinegar was not allowed on Whole30 because of the sugar content? I just finished my premier Food Prep Weekend! Thank you for such wonderful resources and humor. I’m super excited to have almost 2 weeks of meals ready to go in my refrigerator. How awesome is my Whole30 going to go with a beginning like that?!? Peace, love, and joy to you and yours! Fantastic! Good for you — have an AWESOME Whole30! So, what I’m understanding, this is basically Paleo eating? and NO fruit? This is a Whole30 food plan to help you get started and YES! you can eat fruit. I didn’t include it in my instructions because it doesn’t require cooking. Fruit is allowed in both paleo and Whole30. One more Q: whats the difference between Paleo and going ‘Whole 30’? My husband and I are BRAND NEW to this whole experience. Do you happen to have a day by day eating list? Like, for breakfast eat this, for snack eat this, for lunch, etc? I know what foods we can and cannot eat, but I am wanting someone to tell me exactly what to eat for the first couple of weeks, so we can stick to it! Thanks in advance for any advice!! I don’t have a meal plan like that because paleo/Whole30 really doesn’t require you to eat specific things in a specific combo or at specified times of the day. Why am I so confused? What do I now do with my cooked 5lbs of slow roasted pork? My daughter and I are trying to follow the plan…..there have been mess ups a few times but all in all I think we’re doing good. This is my 8th day and her 5th or 6th. It was discouraging to know ONE taste of anything could make you start all over but we’re learning and just press on. For one thing, it’s good to know we are not quitting and the goal still is to see what the 30 day result will be. Congratulations! Sounds like you’re doing great. The point of the Whole30, really, is to increase your awareness about eating habits while you heal your body, so that “one taste” thing is super helpful. You can do it! I’m so glad this was helpful – and congratulations on tackling the Whole30. I hope you have a great month! What do you drink? Besides water is there anything else? Is the chocolate chili whole30 compliant with the unsweetened cocoa? just curious. Thank you! Starting whole 30 next week and trying to prep! Yes, ma’am! 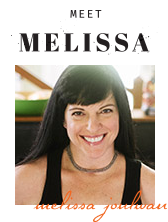 That recipe was officially approved by Melissa Hartwig for my cookbook Well Fed: Paleo Recipes For People Who Love To Eat. She reviewed both of my cookbooks and gave them official approval. Happy Whole30-ing! Hope you have an awesome month. Thank you so much for all of this helpful information!! I was stressing trying to make a meal plan & then I stumbled upon your page! Love how simple you make it for getting started! This will be our first Whole30! Thanks again! This is exactly what I needed to make starting a Whole30 doable for myself while the rest of the family continued to eat their regular meals! While that first day of cooking took longer than I’d expected due to new recipes and it being a long time since I’d really cooked, it has been well worth it!!!! THANK YOU!! Happy Whole30ing! I hope you have a wonderful month! This is wonderful! I just recently decided to switch myself and my family to a primal diet due to some health issues I’ve been struggling with for years. A friend of mine showed me your blog and it’s been helpful beyond words! I don’t think I could have been this organized without reading all of the great information you have here. I just accomplished this week 1 cook-up yesterday and it feels SO good to have all of those meals chilling in my fridge. Thank you Melissa! Congratulations to you on your Whole30 success! I did a Whole90 once, and it was the coolest. You’re going to love your 100. Have a fantastic year, and keep me posted on how you’re doing! Hi! I live in Prague (which I’ve heard you’re a fan of) and am planning on starting the Whole30. I’ve always struggled with trying to adapt American recipes to what I have available here in Prague. I was just wondering if you have ever tried making the Sunshine Sauce with tahini instead of sunflower seed butter. Thanks! I’m so envious that you live in Prague! How’s the snow? I haven’t tried the Sunshine Sauce with tahini, but it is quite good with almond butter, if you can find that. If not, give the tahini a try. Let me know how it goes! I am in my 2nd week of the Whole30, and I just wanted to let you know how much I am enjoying your meal plans. The meal plans have been so helpful as I’m trying to tackle this new way of cooking and eating. The chocolate chili is THE best chili I have ever had! Thank you so much for providing these wonderful recipes! Congratulations on Whole30-ing! Have fun this month! Thank you so much for this plan!! I just finished cooking everything. I’m actually on week 2 of my first whole30 but found your plans and figured I’d start from the beginning. I’m excited to see how this week goes without having to really cook and just pull something out of the fridge! Question: What’s the difference between your normal diet (you personally, not Paleo diets in general – that would be too broad) and a Whole30. I saw that you said that you once did a Whole90, so I’m just wandering what that looked like when you went off it. I’m on day 10 of my Whole30 and already I’m just wandering what life post-Whole30 will look like. Very tired of living with the same food issues my whole life and ready to make permanent changes (this is turning into a long post!). I have in the past gone a whole year without dairy and gluten and definitely felt big benefits from it. My normal diet is very close to Whole30. The only non-compliant foods I have in the house, usually, are Maple Almond Butter, organic ketchup with some sugar in it, and white rice, plus condiments like pickles that might have a weird ingredient or two. On holidays, I make grain-free treats, so there’s lots of sugar, but usually no dairy (except ghee) and no gluten grains. When we travel, I eat everything (so i can try local cuisine), but I try not to go crazy, and I only eat something if it AWESOME. My “treats” tend to be eating more than usual, or eating things that I know won’t hurt me, like french fries, gluten-free blueberry muffin, that kind of thing. But I usually only have one treat a week. Hope that helps! Definitely helps me get some perspective – thanks! So glad I found this old post of yours! I followed your instructions and spent the morning doing the cook-up. We had the chili for dinner, the whole family LOVED it. My pork roast was smaller than yours so it only took about 9 hours. Amazing taste! So delicious, I think I ate a whole pound while I was transferring it to a container for the fridge! Thank you for creating the shopping list and the step-by-step instructions. Having the plan outlined for me gave me to push I needed to get started. Making the Pad Thai recipe tomorrow 🙂 Thank you for all the information and recipes you share. 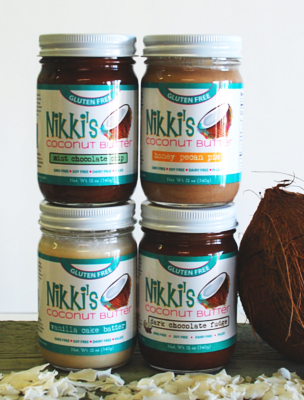 Congratulations on stocking your kitchen with awesome food! I’m really glad this post was helpful to you. Enjoy the bounty! I have made the chocolate chili and the curry – both are absolutely delicious! 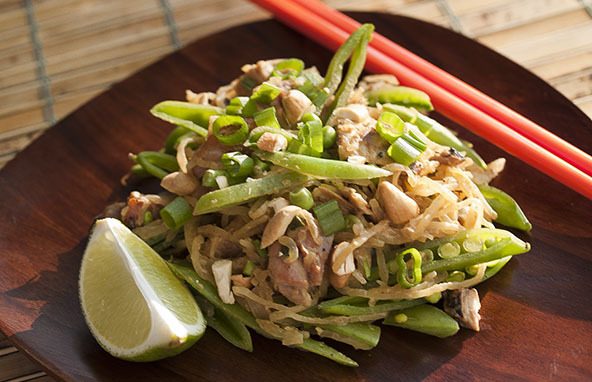 I want to make the Pad Thai next but spaghetti squash is no longer in season – any suggestions for substitutes? You can make zucchini noodle to replace the spaghetti squash, or shredded cabbage is nice, too. Enjoy! I’m about to start my first Whole30 and having this post is making it so much less intimidating for me to start. I had a question regarding halving the recipes since I am cooking for only me. If I halve the amount of pork that I am putting in the slow cooker, does the cook time vary? Does that get cut in half too? Happy Whole30-ing! If you’re using a 3-4 pound pork shoulder, cook it about 5 hours on high or 8 hours on low—until the meat easily pulls apart with a fork. Thank you so much for these posts! I am doing Whole30 for the first time and meal prep was my biggest worry. This makes it very simple for me. Much appreciated!!! Thank you so much for this! I am not handy in the kitchen AT ALL, yet, with your wonderful instructions I have followed to the T, I have a full fridge that both myself and my non-Whole 30 family can eat! Tomorrow I will finish by cooking the pork and soup. The slow cooker was occupied by tonight’s dinner. I may make it through this process! Day 3. You are incredible! Thank you so much for this resource. I am most definitely picking up your cookbooks. I just finished the day of cooking this weeks meal plan and my roommate just kept laughing at me because I was so overtly enjoying the whole process! I’m glad I kept the energy up and did the Zucchini soup, I had never had Zucchini before and gosh darn it, are they ever TASTY!! This makes my first day of the Whole30 (first go ever!) a little less intimidating and I’m looking forward to the week because of this! Hooray! Happy Whole30-ing! I hope you’re feeling great and enjoying all the food. I’m so glad you’re enjoying Well Fed! I just finished the Whole30 and did not cheat at all and dropped a total of 21 pounds. Two weeks in I started exercising and I feel great. I even made it through Thanksgiving, which was not difficult. I’m glad I started when I did. This has really opened my eyes and has helped me to realize the things I need to do to change my diet. Congratulations! I hope you’re feeling AWESOME! Sounds like you’re on track to have an amazing 2017. Good for you! I’m so happy it was helpful to you! Congratulations on Whole30-ing! Thanks for the shout out to my blog!